Jesus is our perfect example of love. He combines a compassionate heart with acts of mercy, but also doesn’t wink at sin yet sacrificed greatly to be reconciled with those who have wronged him. Everyone desperately needs to experience that type of love. We need it from Jesus for our salvation but also for our daily spirituality. Jesus is no longer physically with us, therefore how can we experience this type of love? We experience Jesus’ love through Jesus’ body…the church. The world needs a representation of Jesus; therefore it needs healthy churches that understand the Christian life to the degree of developing healthy church members. 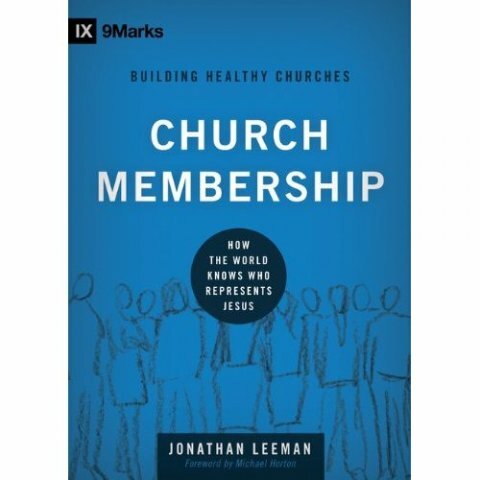 Jonathan Leeman’s Church Membership explains how the world knows who represents Jesus. It is a only 130 short pages spread over eight chapters. “Membership” is maybe not the best word because is conjures up images of clubs and Leeman is adamant that the local church is not a club. He says that the church “is not a voluntary organization where membership is optional for you” (22) rather it is a family we are born into. We don’t join churches, rather we submit to them. This family is to “give shape to my Christian life and yours” (24). Because we connect church membership to the idea of a voluntary club, we struggle to find it in the Bible. But if you understand church membership through the family or kingdom metaphors we see the idea numerous places. Leeman describes the church as an embassy that “declares its home nation’s interests to the host nation” (27). Leeman’s second chapter is devoted to showing where church membership is found in the New Testament. Including the initial church found in the book of Acts, he identifies membership traits of the early church. Leeman makes deductive arguments based upon ideas like: “Christian leaders are made responsible for specific sheep,” “Christians are responsible to submit to specific leaders,” and “Christians exclude false professors from the fellowship.” The conclusion, based upon the church in Acts, is that a “Christian is to belong to a church” (46). There is also a sense that everyone, including those part of the church and those who are not part of the church, “knows who is meant when Christians refer to ‘the church’ doing this or that” (47). The early church knew who was “in” and who was “out” and embraced their shepherding responsibility for those who were submitted to the church family. Leeman also explains the Bible’s vision for what church members are, namely those that hold the keys of the Kingdom. He also explains the Bible’s vision for the essence of the church as a group that gathers together to oversee each other’s spiritual lives. 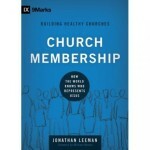 He concludes that church membership is simply someone’s public declaration that they are a citizen of Jesus’ Kingdom. The other members are also declaring their commitment and responsibility to care for that person’s soul. I believe church membership is simply about committing to each other as a family. Leeman’s book is solidly biblical, but also a short read. It addresses common objections to church membership as well as thoughtfully navigates issues that arise when a church or an individual Christian commits to biblical church membership. I highly recommend it for any Christian contemplating joining Redeemer Church or any other church. Church Membership provides helpful biblical answers to your questions about why you should join a church like Redeemer Church. We feel so strongly about the issue of church membership and the usefulness of this little book, we will make copies available to you for free at our next worship service. If you have questions about membership in our church you can visit RedeemerDenton.com/Membership or email me at micah@redeemerdenton.com. Pray for us as we seek to be a broken people loving broken people. Genesis 1:26 famously describes all humans as being created in the image of God. The essence of what it means to be human is to be an image bearer of God. Additionally, the goal of God’s working in the lives of Christians is found in Romans 8:29 where the Bible teaches that we are “predestined to be conformed to the image” of Jesus. Obviously we are not God, but in what ways are we like God? 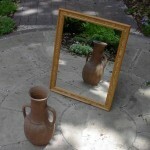 What are the practical daily implications of being made in the image of God? Many scholars believe that the famous mathematician and philosopher Rene Descartes pulled Western Civilization out of the Dark Ages with the idea “I think, therefore I am.” Most recognize that our ability to reason is central to what it means to be human. Humans, unlike animals, sense that we sense. Creation is another aspect of what it means to be human. Genesis 1:26 is part of the creation account where God speaks things into existence. The first thing that we learn about God is that he is a creator. If we are like God, then we must also be creators. Humans, unlike animals, start coffee shops and birth families and paint pictures and grow companies and make movies. Genesis 1:26 expands on this idea of creation and extends it to caring for the world. We are commanded to “have dominion” over creation. Humans are thinkers and creators, but are also to care for the things we create. But, what are the practical implications of being creators and caretakers? There are endless applications of these ideas. But, one implication of all these truths is that each of us is valuable to God and loved by God. Many times we try to parse out the meaning of being created in the image of God and forget that this truth means that you are valuable to God. At different points in all of our lives we will feel shame over something we have done. We might feel unworthy based upon our thoughts or our actions or something awful that has happened to us. 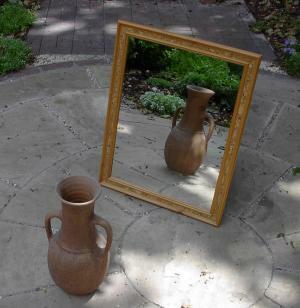 In these moments we need to believe that our worth is not based upon what we do…but whose we are. In those moments of shameful feelings or unworthy feelings or depressed feelings, remember that you are inherently valuable to God Himself. He created you in his image, you are his workmanship, you are his great work of art that he is passionate about. We have young children and when they disappoint us they are never a disappointment to us. Deep in our hearts they are always beloved. Likewise, because you are created in his image, you are loved by him. You are inherently valuable because you have been given the image bearing stamp.